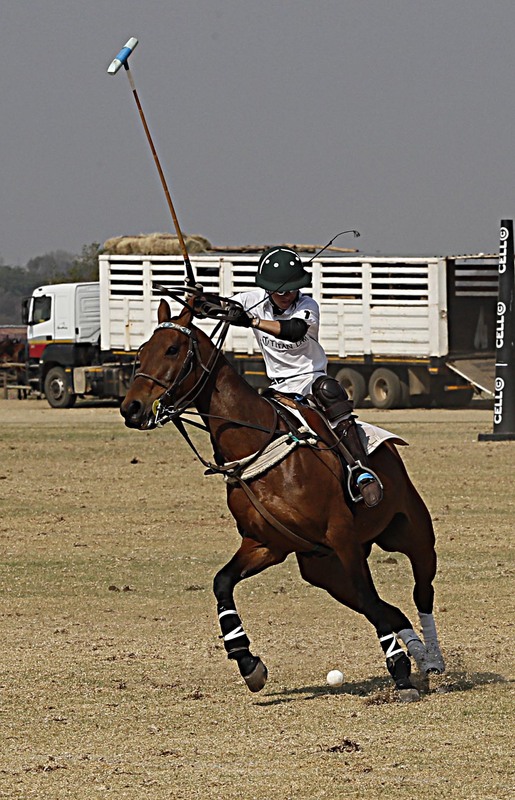 The beat of Africa was in full swing at the Cell C Inanda Africa Cup that took place at the weekend as teams representing Zimbabwe, Pan Africa, Nigeria, Ghana, Zambia and South Africa took part in the annual knockout polo championship. 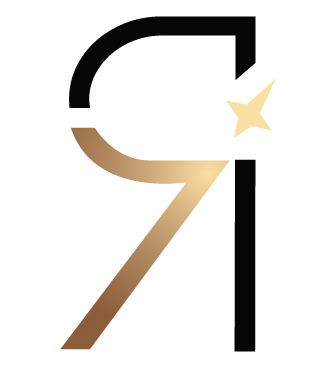 Inanda general manager Paul Oosthuizen said the cup had grown significantly through partnership with the mobile phone company. The theme for this year’s event was Africa Beat, and those in attendance definitely put their best foot forward. Guests were treated to an African gourmet harvest table filled with traditional and modern takes on various foods from across the continent. While most guests followed suit with the Africa Beat theme, others chose to stick to a more chic polo look by wearing classic styles of blazers, hats and chinos. 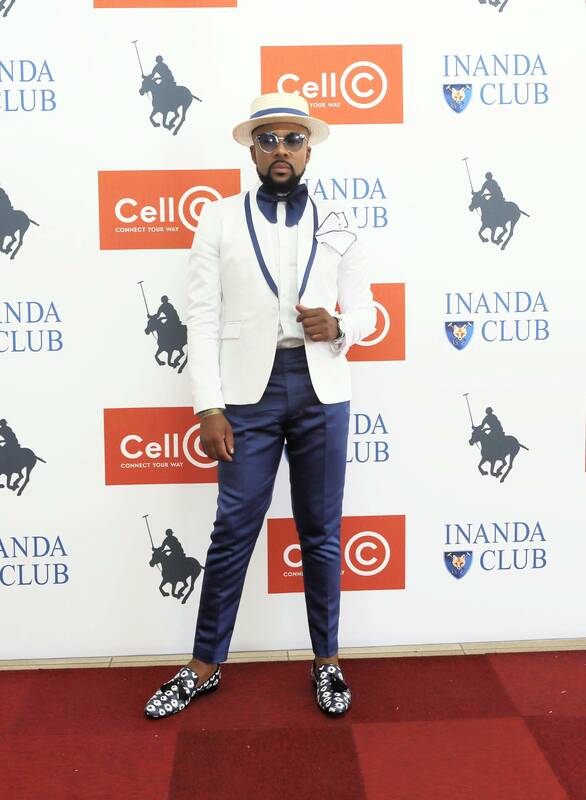 Odwa Tapile went for a blue and white finish that gave him a posh look. 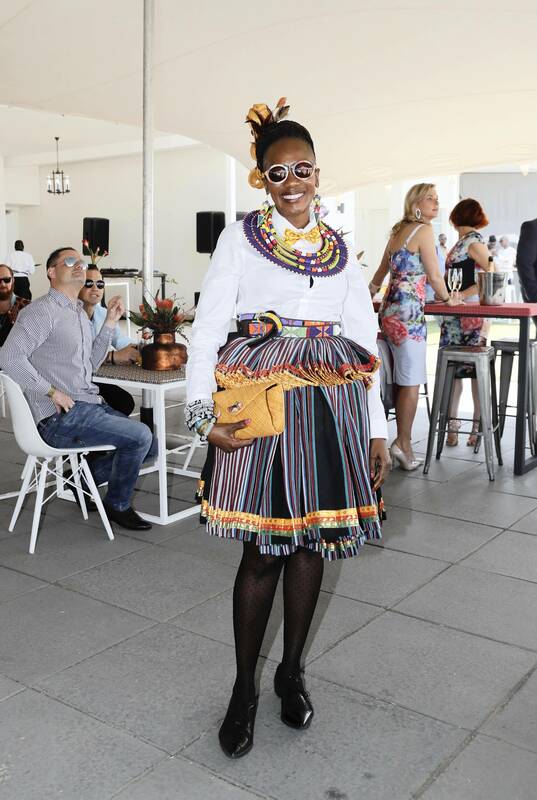 Mapholo Ratau of the Ledikana design brand, which specializes in African prints, cultures and fabrics, was a modern version of how to dress in a xibelani skirt. She chose a white crisp top to complement her Tsonga attire and her Ndebele pattern earrings and neck piece added that authentic African style to her look. Reabetswe Mashigo re-imagined a sleek Zulu princess look, choosing a black pant-suit with slits at the front. The host for the day, Lalla Hirayama, chose a spring-inspired traditional number to showcase her legs, and Didintle Letlape wore an off-the-shoulder blue seshweshwe mermaid dress that gave her curves all the love. Kopano Kwapeng in her two-piece and a beret. 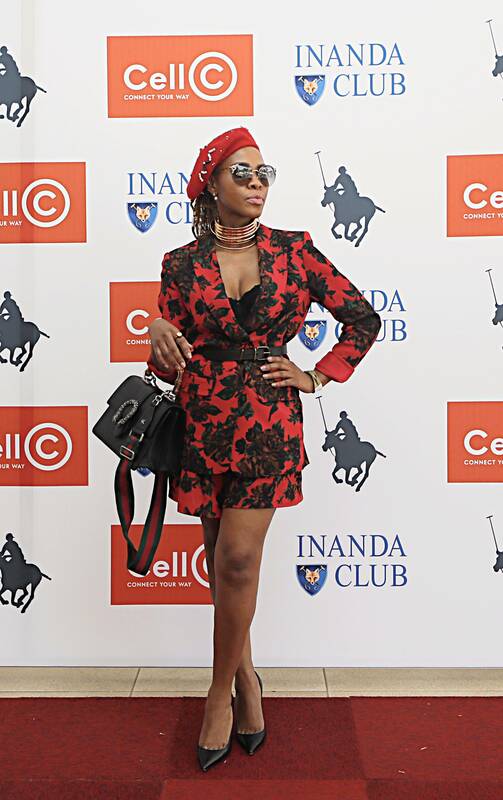 Kopano Kwapeng made her red two-piece shine by adding a red beaded beret. Boipelo Mabe also went for the colour red and matching red strappy heels. Refilwe Modiselle wore a Xhosa-inspired wrap dress from Sober Design House. Showcasing design houses on the day included Ledikana, Maxhosa by Laduma, XV by Ntando Ngwenya and La Martina, an Argentine sports and leisure brand. Described as an event where fans meet fashion, food and horses, the event also had its prize-giving moment. Four youngsters aged between 11 and 16 were all players in the tournament. The Nigeria team STL came third overall on their first year in the cup and the team captain Seyi Tinubu said they were thrilled to be part of the cup and had a pleasant time playing on South African grounds. Plate winners were the Zimbabwean team Titan Law, and the overall champions of the Africa Cup was Verdant Capital. Prizes were also awarded to the horse of the day and a Best String award to the most well-groomed horses. Most Valuable Lady Player and Male Player went to Ritali Cronje and Johan du Preez respectively.